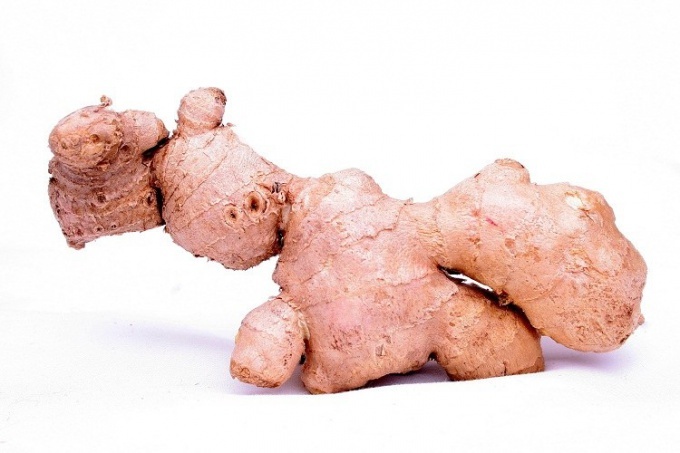 The root of ginger is known for its beneficial properties for the human body. It helps to boost the immune system, promotes better assimilation of food. To use it you can not only raw, but pickled. Prepare the root. You need to carefully flush it out and clean away the top of the skin. If you have purchased young ginger, simply RUB it with a stiff brush or a clean knife. If the root is old and is not amenable to such cleaning method, remove the peel with a peeler or with a knife (cut a thin layer). Cut the ginger. For marinating use thin petals of ginger root, so you'll need a sharp knife with a wide blade. Put the root on a cutting Board and carefully slice it into thin strips. Remember, the thinner you make the petals, the better it will turn out the finished dish. So do not hurry, do it slowly. Prepared ginger is laid on the bottom of a deep bowl. Heat in a pan about three liters of pure water, bring to the boil, pour the sunflower and ginger. Leave a bowl of water for four or five minutes, and then drain the liquid. About a half Cup of this water, set aside. Processing the root with boiling water is needed in order to become softer and softer. Left mix water, one Cup rice vinegar and three tablespoons of sugar. Optionally, you can take the red vinegar that will give ginger a nice pink color. For greater tenderness and softness, try replacing the vinegar in the rice wine (it is pink and white). Pour the root with the mixture and mix thoroughly. Leave the ginger in the marinade for five or six hours (can be overnight). Be sure to keep it in the fridge. Do not rush to release a finished root from the marinade - keep it as it is much safer. Pickled ginger should be consumed within four weeks. Store it in the refrigerator, preferably in a sealed container. Use of ginger is not only with Japanese cuisine (sushi and rolls). It perfectly complements meat and a variety of snacks at your Desk.